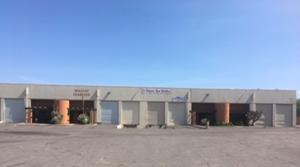 TUCSON, ARIZONA — Renewal by Anderson affiliate , E. 34th St., LLC, purchased 29,525- square-feet of industrial space located at 3785 E. 34th Street in Tucson for $1.665 million ($56.40 PSF). Renewal by Anderson will occupy the vacant space in the property to distribute their window products to installers in Tucson. The property was built in 1979 inthe Alvernon Distribution Center, off Alvernon Way and was most recently occupied by a moving company. It has 4 front loading bays, each ± 7,500-square-feet and 5 grade level doors. Clearance height of building is 18-22 feet. Drawing on the Andersen tradition of over 100 years of quality, innovation and craftsmanship, Renewal by Andersen was founded with the objective of creating a different and better window and door replacement experience for homeowners. Its turnkey process begins with a call from you and includes a respectful in-home sales consultation, custom-manufacturing of replacement windows to precisely fit your home and installation by a dedicated team of professionals. Best of all, they stand behind their products and installation with one of the strongest warranties in the Tucson, Arizona window replacement business. Since opening its first store in Minnesota in 1995, Renewal by Andersen Corporation has rapidly grown to more than 100 markets in the U.S., becoming one of the largest replacement window companies in the country. And, have installed nearly 3 million windows. Stephen D. Cohen, Russell W. Hall, SIOR, GSCS, and Brandon Rodgers, SIOR, CCIM, Industrial Specialists with Cushman & Wakefield | PICOR, handled this transaction. The team of Cohen and Hall represented the sellers, 34th Street Penguins, LLC, 34th Street Investment Partners, LLC, and Gayle Brickman of Tucson in the transaction. Brandon Rodgers represented the buyer. To learn more, see RED Comp #6676.